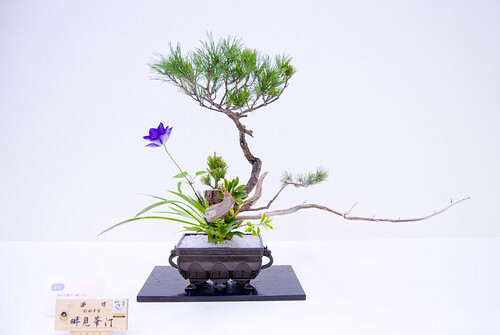 If you're a fan of Ikebana, the Japanse art of flower arranging, make sure to stop by the FAC April 5-7 to experience Art Comes Alive, a special flower show by members of the Colorado Springs Ikebana Chapter 95. The Ikebana artists have selected over 20 pieces from the FAC's Permanent Collection for inspiration, and will interpret and respond to these works with a flower arrangement. 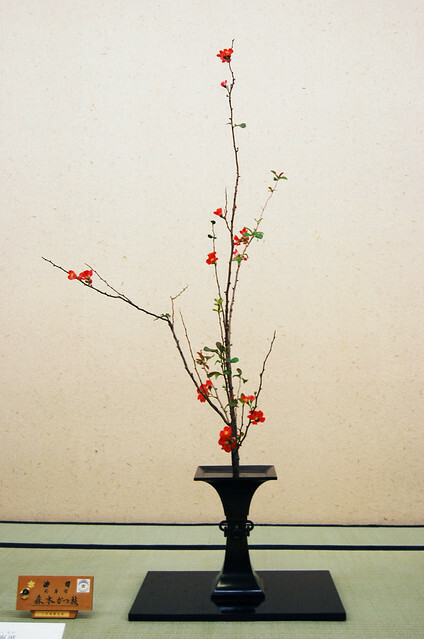 These artists consider Ikebana both an art and discipline that leads to self-awareness and expression. Ikebana, sometimes referred to as the Way of Flowers, is a Japanese art form of flower arranging that incorporates dynamic containers, fresh flowers and natural materials to inspire, delight and hopefully lead to a deeper appreciation of the inherent power and artistic beauty of nature. Three lines of materials, symbolizing Heaven, Man and Earth, are often found in these arrangements. The Colorado Springs Ikebana Chapter 95 have a long association with the FAC, having presented flower shows and providing weekly Ikebana arrangements in the lobby for over 25 years. The chapter also meets monthly in the Music Room. Make sure to stop by and experience the FAC galleries filled with Japanese floral art! As you stroll through the galleries, look for arrangements done in classical styles and those that embrace a more modern, free style approach. APRIL 5-7 | INVITE FRIENDS!